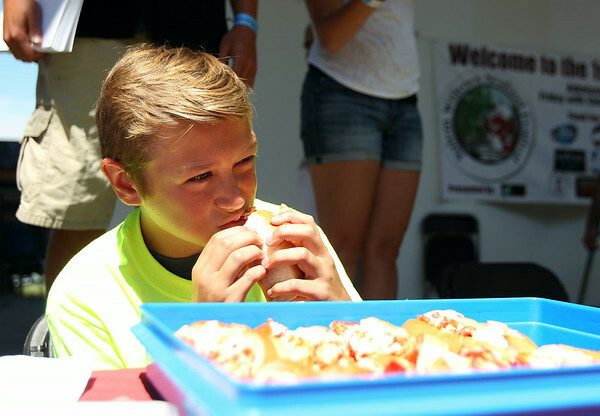 Fourteen-year-old Josh Bates, of Beverly, bites into a lobster roll during the Lobster Roll Eating Contest during the first Salem Willows Seafood Festival on Saturday afternoon. DAVID LE/Staff photo. 7/12/14.